Happy weekend! Hope that this one is a great one for you! The weather is not great over here, it's cool and rainy and humid. Oh well we did spend a lot of time outside the past couple of weeks. And what's better on a rainy day to do than go shopping? 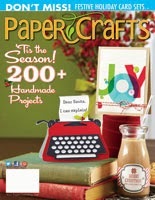 And I am going to shop for my two favorite things: children's clothes and papercrafts items! :> Ariel has been gone for 2 nights at the cabin with my inlaws and her girl cousins, and comes home later! So it's just me an my little boy Carter. Should be interesting! 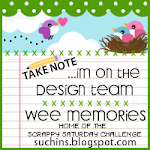 Today I am here with another Wee Memories Scrappy Saturday Challenge! 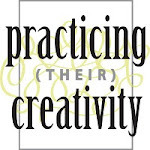 We have a terrific sponsor this week Oh My Crafts! And the prize is amazing, a Cuttlebug 10 pack to our winner! All Hero Arts on this card! I hand stitched the stems, I don't know I just seem to be into stitching these days! :> I also was finally able to master tying the bow with the tails to the side, not to the bottom like I normally do. I tie my bows upside down which meant that any video I watched or friends showing me how to do it didn't help! The buttons are all from different places, I was so happy to find the orange one that it matched my pp it's from the stash my mom gave me, the pink is PTI, the blue and grey is Making Memories! The pp is one of my fav's (I love stripe pp) from Kauser. I also have to say that I am very much enjoying gray these days, almost as much as my beloved kraft! Wonderful card Anita- love your adorable button flowers- have fun shopping too! I really love the layout of this card, Anita. So pretty! I LOVE this one Anita. Such a pretty card Your stitching is awesome. You certainly do buttons well.... enjoy your Carter time. And thanks for your lovely comments on my blog. I really appreciate it. Adorable card, Anita! Love the gray with that bright pink bow! And your stitched flower stems are so cute! This card is super cute! I just love the buttons and the colors you've chosen. Hi Anita, just LOVE how you used the buttons as flowers, they look so pretty. 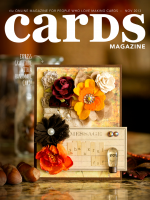 Love the design of your pretty card. This is SUPER cute! Love your colors and the stitched stems is AWESOME with the buttons! This is so beautiful!! Love it, Anita! Gorgeous card Anita! Beautiful design and colours! I love your button flowers with the stitched stems and tiny leaves! Hope you had fun shopping! Love this, Anita! I am a button girl, too, lol. Those button flowers look so perfect with the text paper. Perfect! TFS! Cute & fun card, Anita! The colors are perfect! I love the 3-D details - the button flowers are darling! This is so, so sweet, loving all the colors and the sweet flowers! Love the printed background, I'm impressed that you stitched the stems. this is so cute, Anita! love the stitched stems!